Southern, Sellner, and Pettibone... But Have You Heard of Polish Right-Winger Rafał Ziemkiewicz? This weekend’s events in London highlighted a new crackdown on right-wing personalities and free speech in the United Kingdom, as Tommy Robinson delivered the banned Martin Sellner speech in Speaker’s Corner. 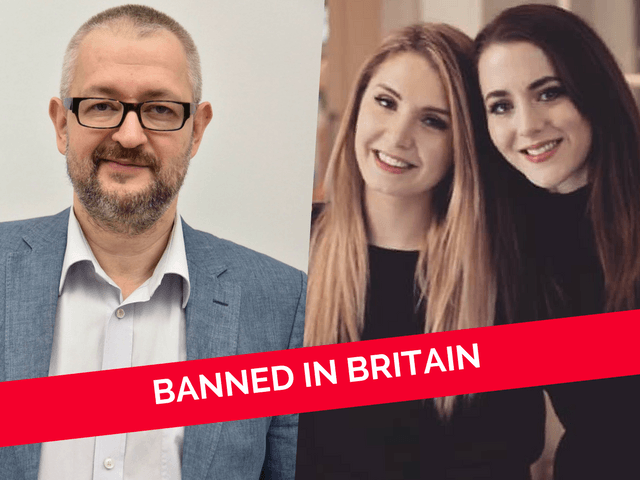 A few weeks back, journalists Lauren Southern and Brittany Pettibone also found themselves on the business end of the state’s multiculturalism censorship sword. But have you heard of Rafał Ziemkiewicz? Ziemkiewicz — a conservative who has written for the left-wing Newsweek, the mainstream Wprost, and even worked for the Republican Party in the United States — was obviously the UK government’s testing ground for their increasingly authoritarian crackdown on free speech. After a campaign led by Muslim MP Rupa Huq — who has suggested Britain could apologise for creating Israel, has complained that popular British sitcoms are “Islamophobic”, and who has described President Trump as a “hate figure” — it became clear Ziemkiewicz could not visit the UK. His crimes according to Huq? Arguing that some people with Jewish backgrounds — like George Soros, who has admitted it — played a part in the Holocaust, alongside criticising the UK government for its deferential approach to Islam. I don’t know Ziemkiewicz. But I do know that keeping people out of the country to placate the Guardian newspaper and a far-left Labour MP who wishes Israel was never created is pushing us towards the thickest end of the wedge. Huq relayed a description of him in the Guardian as “Between Britain First and Katie Hopkins”. This implied Huq would have Britain First and Hopkins banned in the UK. Maybe even deported if she could. This is the importation of foreign bully politics, blasphemy laws, and the beginning of rampant corruption. If you don’t like what your MPs, or government are doing, you will be gulaged. From Russia to Pakistan to China these practices grip like a vice over the people. The West has — at least recently — remained above this sort of thing, but as Enoch Powell warned 50 years ago, we have imported much that is corrupting our culture. O thou that at last hast fulfilled the great perils of the sea—yet by land more grievous woes await thee…. Wars, grim wars I see, and Tiber foaming with streams of blood…. If Huq — who recently said she received a “Punish a Muslim” letter — could get her head around this, she may end up endorsing Powell’s speech. This I suspect is by choice or willful ignorance rather than inherited stupidity. Huq was born 14 years before me, and in the very same hospital in West London. If I can know it, so can she. Alas, historical record and facts appear to be outside her repertoire, which is probably why she wishes to create Orwellian memory holes for right-wing journalists. Ziemkiewicz is clear about his positions, too, defending the Polish against accusations of running death camps and stating rather they were a foreign, German creation. Huq added in her Guardian article: “The fact is that free speech does not equate with hate speech”, but doesn’t offer a working definition of either. It is likely what she means is: “Speech I do not like is hate speech”, like all the others who proffer such proscriptive demands. As usual, the authoritarian state and its advocates such as Huq have gone too far, too fast, leading to thousands of British patriots assembling at Speaker’s Corner to hear a speech from another proscribed activist — Martin Sellner — this past Sunday. The question I genuinely wonder about is whether or not the British public have the time, patience, effort, money, and passion to turn up week-on-week, month-on-month, to continue this fight for the freedom to speak, the freedom to offend, and in some cases, the freedom for others to be absolute morons. It may be someone “between Britain First and Katie Hopkins” now. It will be me tomorrow, Nigel Farage the next day, and then what will we be left with? A politics dominated by the Amber Rudds, Rupa Huqs, Sadiq Khans, and Theresa Mays. What a world that would be.